2-6-0T No. C11 39 (Hartmann No. 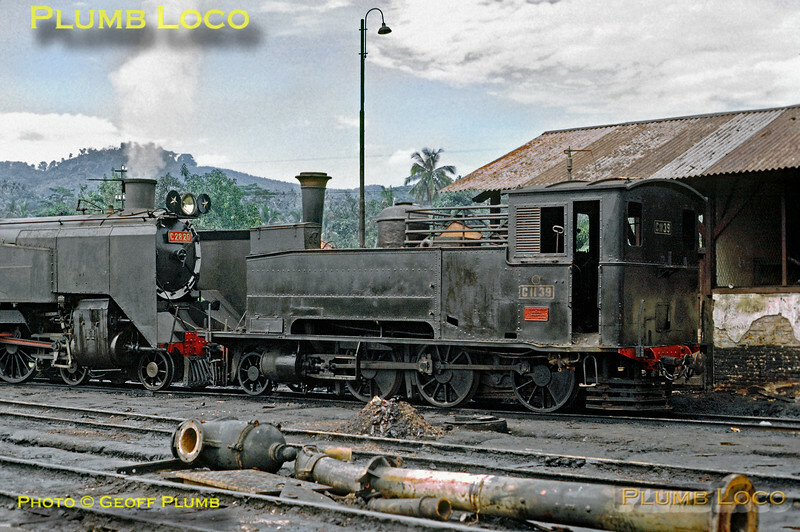 1721 of 1891) stands nose to nose with 4-6-4T No. C28 20 at Bandjar depot. The C28 is at least in steam, though whether likely to do anything was uncertain. The C11 looks serviceable, but again, quite what its duties might entail was an unknown detail. That steam was in decline even in these parts is perhaps illustrated by the state of the water column in the foreground, now demolished. Friday 20th July 1973. Slide No. 11375.